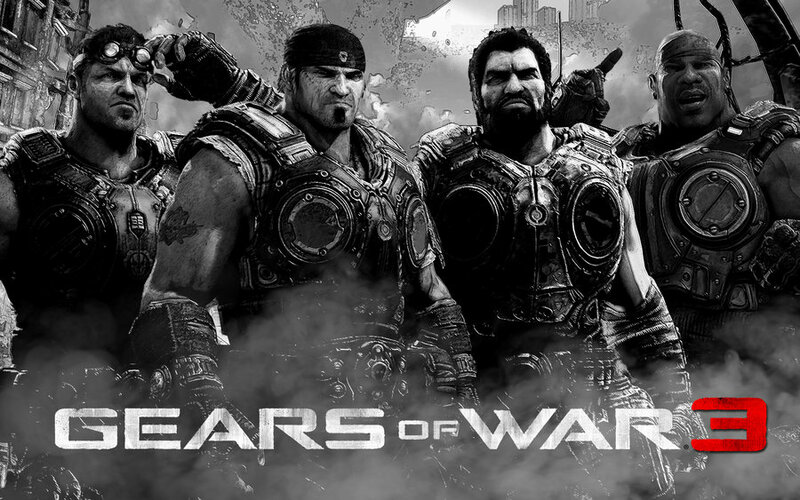 The Gears of War franchise, over a oddly short space of time, became one of the most influential and arresting video game franchises. Inspiring many movies, TV shows, games, and fetishistic sketches, the sci-fi extravaganza breathed new life into the third-person shooter and dystopian action-thriller formats. Microsoft and Epic Games’ love child is indeed a big, badass leader in small-screen, interactive violence. Anyone who has picked up a console is aware of everything from the chainsaw machine gun to Marcus Fenix’s intimidating physique. The third installment is a creepy and scintillating franchise capper. Its sniper-like focus on story and character elevates it above the horde of familiar dystopian-action spectacles. The narrative, initially developed by sci-fi author Karen Traviss, pulls Fenix and his merry band of comrades – Dom, Cole, and Baird – back into the filth. After the events of Gears of War and Gears of War 2, the troupe is seen as humanity’s best hope defeating the Locust hordes. Having lost Jacinto (the last human stronghold), the Coalition of Ordered Governments (COG) has retreated to the CNV Sovereign to plan one last mission for mankind’s survival. During their latest rendezvous, a new, shiner enemy, the Lambent, mortally wound key officials including Chairman Prescott and Captain Michaelson. Obviously, the simplistic, hokey story was not likely to pick up any IGN trophies or major recommendations. The raw, untainted masculinity resides on the surface and underneath. With its assortment of silly one-liners, bromantic interludes, and David Ayer-style tough-guy characters, it is difficult to expect anything Shakespearean. However, these fun, frivolous elements add to its undeniable charm. The man-tears come thick and fast, with Marcus discovering his father, Adam, may still be alive and key to the planet’s survival. Several sub-plots, surprisingly, help develop its supporting cast. Cole, having been a Thrashball superstar, discovers his home town’s destruction. His fight/thrashball set-pieces darts around Gears‘ familiar gameplay. In addition, Fenix and Dom’s bond is poked and prodded to tug our heartstrings. Of course, the visual style, pacing, and gameplay attract the gaming world’s immediate attention unlike those of any other shoot-em-up. The Heads-up Display (HUD) provides a clear analysis of progress and stability in battle. Its patented cover and squad tactics, guiding almost every action sequence, make for a more exciting and adventurous gameplay format than most. Flipping between four high-powered weapons, the player is once again charged with blasting holes into each nameless, faceless adversary. Indeed, the game’s more thrilling aspects revolve around shootout, fistfights, and explosions. The sprint-between-barricades segments, held up by its single-take tracking style, never get tiresome. In addition, Steve Jablonsky’s thunderous score rumbles throughout all five chapters. Despite little change between this and preceding instalments, this franchise is driven by its rush-of-blood spectacle. This trilogy-capper, like the others, revels in its thirst for blood and grime. The chainsaw duels, amped up by new weapons and control functions, are thrilling, gut-wrenching interludes. From its cinematic cut-scenes to expansive vistas and bold colour palette, the game is fun to play and watch. 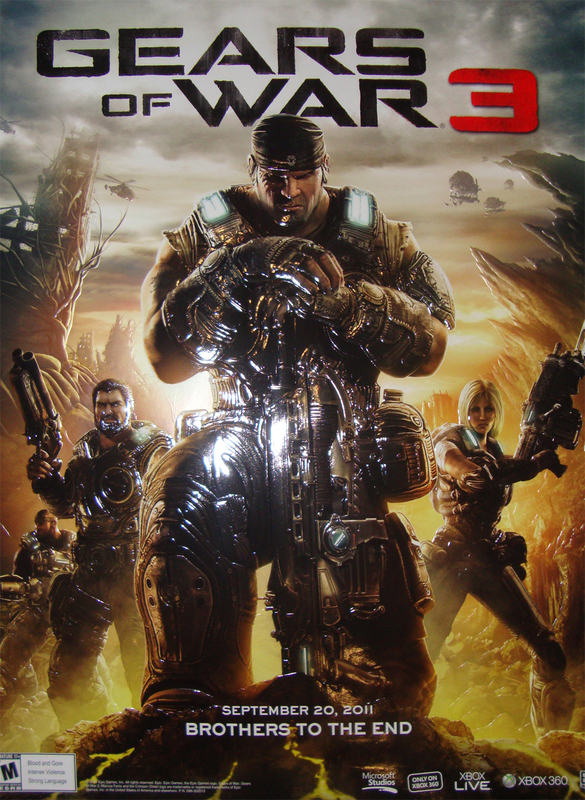 Gears of War 3, thanks to its lengthy story, thrilling gameplay, and efficient multiplayer layout, is one of the year’s more accessible actioners. Surely, Fenix and co will be back for a fourth round of bro-hugs and bloodshed. Verdict: A brutal, ballsy, and badass action-adventure.